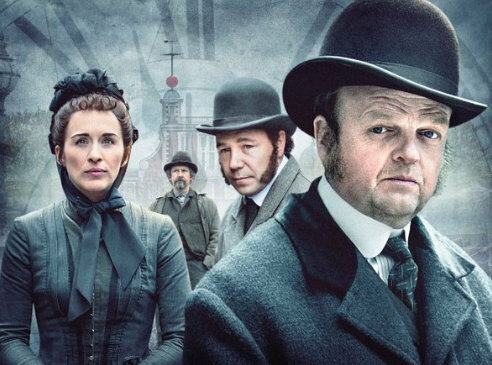 Watch a video interview with Toby Jones and Vicky McClure, the stars on BBC One’s new three-part drama The Secret Agent. London, 1886. Soho shopkeeper Verloc (Jones) is paid by the Russian Embassy to spy on an anarchist cell. The Russians demand that Verloc orchestrates a bomb attack that will be blamed on the anarchists and provoke a British crackdown. The Secret Agent begins tomorrow (17th July) at 9pm on BBC One.